The open ocean contains the largest ecosystem on Earth. The demersal zone delineates the seafloor, extending from the deep ocean to the coast, while the open ocean, or pelagic zone, encompasses all other regions in the sea. The pelagic zone is divided into four subzones, each containing unique communities of organisms. Sunlight penetrates the epipelagic zone, which extends to a depth of 200 meters (650 feet) below the surface, powering photosynthesis in microscopic plants called phytoplankton. During the spring and summer, upwelling near some coasts drives nutrients to this zone. Nutrient dispersal causes blooms of phytoplankton that feed zooplankton, including jellyfish, copepods, krill and various larvae, which in turn feed small fish, such as anchovies and sardines. Small fish feed larger species including sharks, tuna, squids, sea turtles, marine mammals and seabirds. 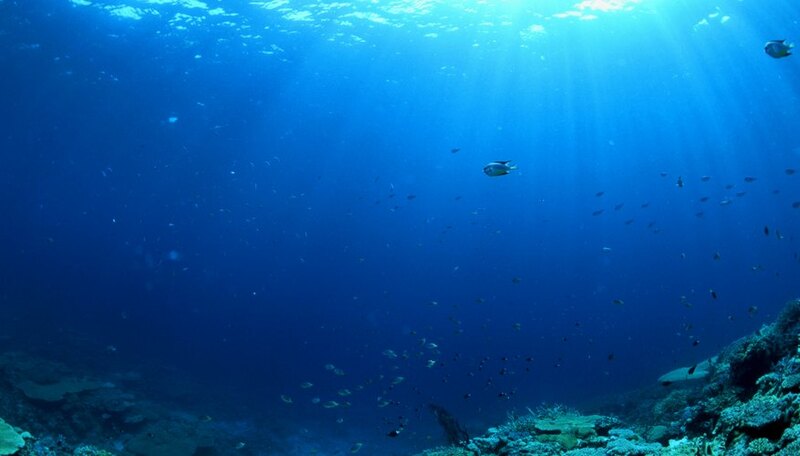 Extending from the bottom of the epipelagic to a depth of 1,000 meters (3,300 feet) below the surface, little light penetrates the mesopelagic zone and plants cannot conduct photosynthesis. 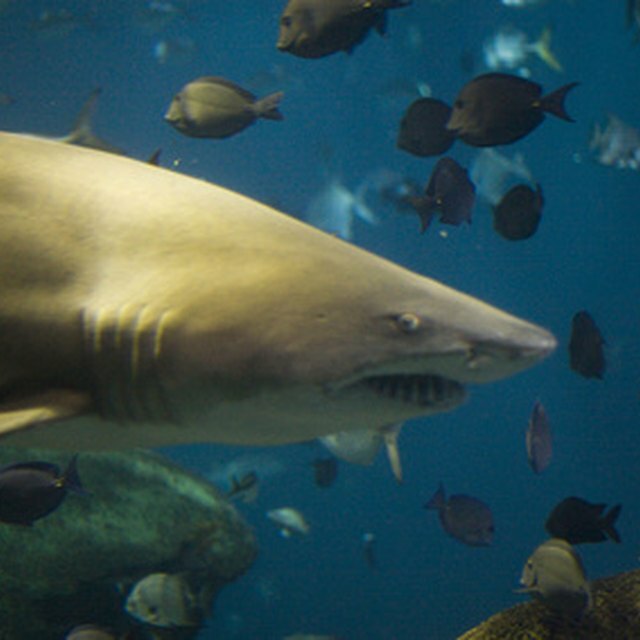 Many fish in this zone have large, sharp teeth and expandable jaws and stomachs, allowing them to eat organisms larger than themselves. Although nutrients are scarce, large fish and mammals dive into this zone to hunt. Species such as lantern fish, ctenophores and firefly squids have evolved bioluminescent organs to produce their own light. The Bathypelagic zone extends from the lower edge of mesopelagic to approximately 4,000 meters (13,100 feet) and no light penetrates this zone. Many organisms have expandable stomachs, large mouths, sharp teeth or no eyes, and their food consists primarily of plant and animal remains that sink from higher zones. Sperm whale and squid sometimes dive to this zone to hunt the slowly moving fish that have evolved strong gills to extract oxygen from water under tremendous pressure. This zone extends from the bottom of the bathypelagic to the seafloor and is inhabited by jellies, fish, crustaceans and mollusks adapted to survive on detritus (decomposing organisms) and withstand even greater pressure. Some are bioluminescent, but many are black and red, which makes them invisible. A common mollusk, the vampire squid, turns itself inside-out and uses spike-like tentacles to scare predators and capture food. Sperm whales occasionally dive to this zone and hunt giant squid. Ocean Tides began writing professionally in 2010. She has been published in the "Biological Journal of the Linnean Society." In 1997 Ocean completed an Associate of Arts in liberal studies and will complete a Bachelor of Science in wildlife biology at the University of California Davis in 2011. Tides, Ocean. "Major Facts About the Open Ocean Ecosystem." Sciencing, https://sciencing.com/major-open-ocean-ecosystem-5924.html. 24 April 2017.